Predatory Tax Lien Lending In The Crosshairs of Texas Law Makers? 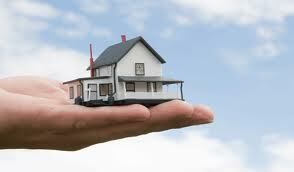 One of the most expensive loans some consumers encounter are tax lien loans. Consumers use these loans when they are behind on property taxes. While the loans offer temporary relief they come with long term consequences: high interest rates that often take may years to pay off and at times can drive the consumer into deeper financial problems. "These types of loans come with serious shackles for borrowers and are really a bad deal," says San Antonio Bankruptcy Attorney Gerald Moton. "Even in a Chapter 13 Bankruptcy, these loans are secured and pay nearly an 18% interest rate!" A great long term pay off for the lenders but a long painful financial lesson for consumers. Now Texas law makers are taking a closer look at these types of loans and their predatory nature. The legislation would require tax lien lenders provide notice to the borrower and bank BEFORE providing the loan.